Belvedere is a high-end gated community outside of Austin, Texas. When it was first built in 2006, the developers built a large brick entry to welcome residents and guests. To make sure that people could see the neighborhood from the street at all times of the day, they had installed low voltage landscape lighting. Unfortunately, the lighting wasn’t properly maintained so the light started to dull. Additionally, the surrounding trees have grown a lot in the last 6 years and had started to block a lot of the lighting. In short, Belvedere needed an update and looked to Rick Johnson for help. The board had two goals for its lighting update: 1) make the entrance brighter as it was now difficult to see from the road and 2) have a soft, elegant look befitting of the neighborhood, but not overpowering. Rick was one of three lighting companies that presented to the board. While the competitors both recommended to get rid of every existing fixture and install 40 new ones, Outdoor Lighting Perspectives saw the potential to work with what was there and installed only 20 new fixtures. Not only was the OLP bid significantly less than the competition’s, but now that the existing fixtures are cleaned up and have been tweaked, it looks great. This is a great example of how Outdoor Lighting Perspectives is different than other outdoor lighting companies. For us, it is all about the effect. We work with very high-quality residential outdoor lighting fixtures, but it’s HOW we use them that’s important. Rick is a trained outdoor lighting designer who understands the best practices to provide the Belvedere with the soft glow they requested. Additionally, Outdoor Lighting Perspectives will be visiting the subdivision quarterly to inspect the entryway outdoor lighting so that it always stands out. The Belvedere board is very happy with the work Rick did on their entryway and so are we. Congrats Rick on a job well done. We recently returned from the Outdoor Lighting Perspectives annual conference. Certainly, the biggest news on the technology front was the introduction of a new LED PAR36 bulb. The light quality? Side by side against a new halogen bulb, the light output (temperature) is so close that it’s hard to tell one from the other. 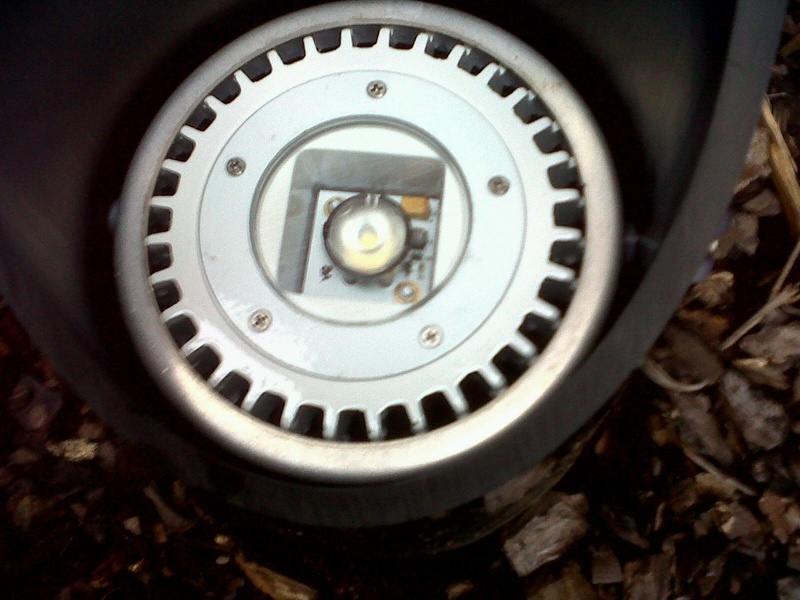 This light is also an easy retrofit in existing fixtures using PAR36 halogen bulbs. Benefits: the energy efficiencies saves electricity and super long burn rate lowers maintenance costs. Typical payback on an LED conversion is less than 2 years. LED bulbs replacing the MR16 bulb is also available now and an LED retrofit bulb for path lights will be coming in April, 2012. Clearly, LED technology has finally arrived for Outdoor Lighting Perspectives.